This is something unique as a graphic PSD freebie. 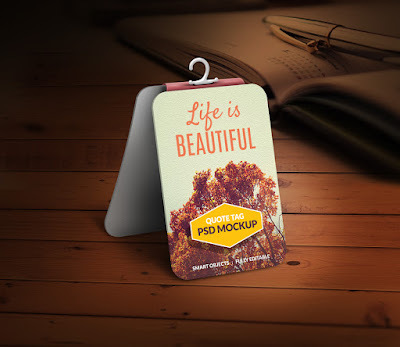 This quote hanger tag is just cute that can help you add your inspiring quote and decorate your desktop as a wallpaper. You can also use this graphic for your website banner or as a decorating element to spice up your wallpaper with a nice quote instead of just routine text. All the elements in this freebie are editable. Smart-objects are used to easily help you change the quotation as well as add your own background.